I have been having so much fun during the last week trying new techniques and just “doing it”! Instead of trying to perfect everything I’ve just thrown it all down and “had a go”. This first one isn’t at all like the image I had in my head…funny that! lol I tried to make this very abstract looking and it’s not my favourite page ever but I had fun doing the flowers. 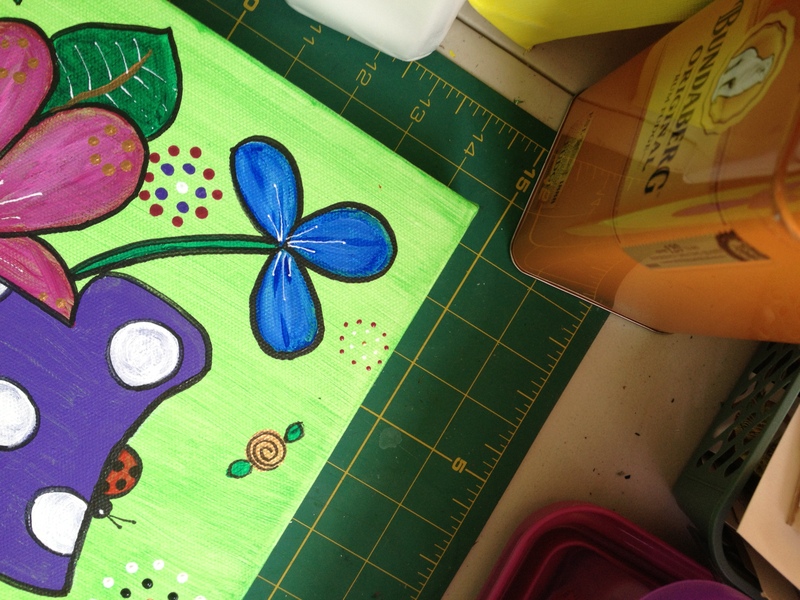 I used a straw to spread the paint for the petals. 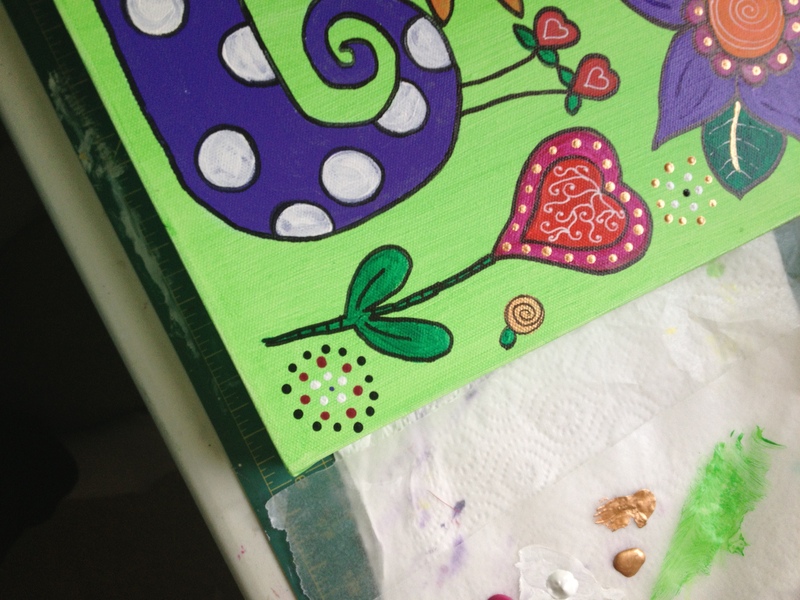 The middle of the flowers were some gelli prints I made. 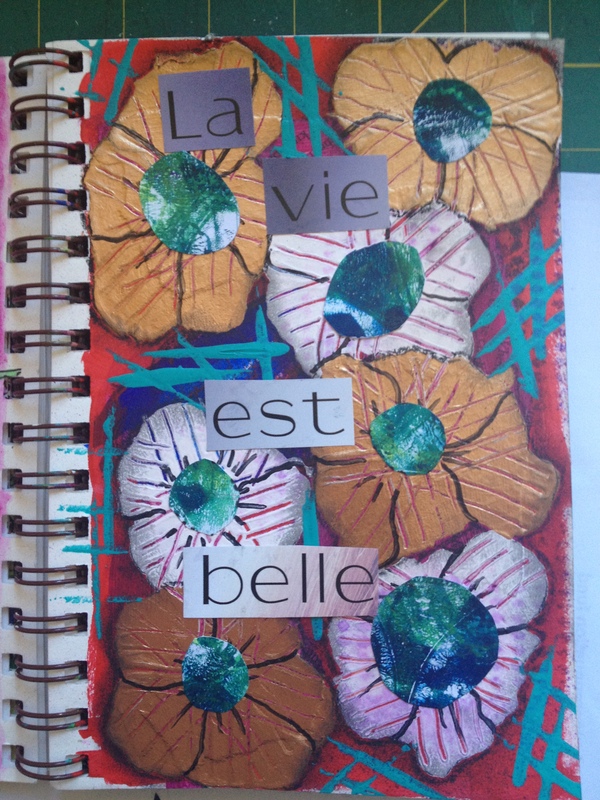 La vie est belle…Life is beautiful! 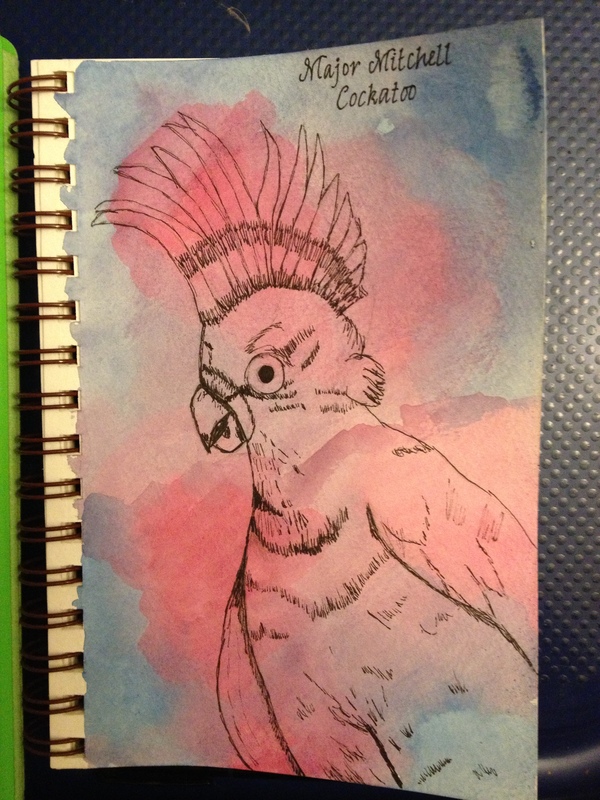 I’ve also finally got something into my journal too. This is a Major Mitchell Cockatoo… a beautiful bird with a gorgeous crest of white with red and yellow stripes on the feathers. They’re breast is a soft salmon pink colour and the rest of their body white. I love them! 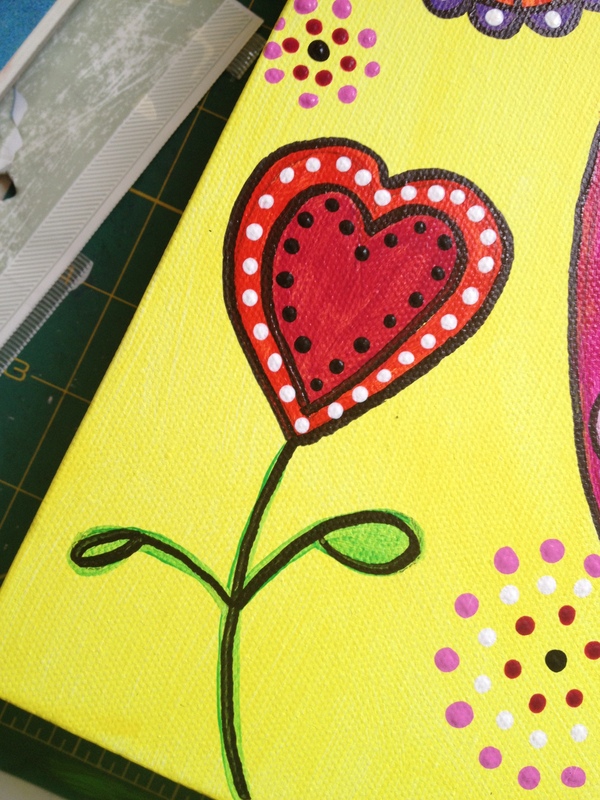 And this is a sneak peak of a canvas (work in progress) I’m doing for a teacher friend at work. I’ll post the finished product when it’s completed. Dylusion inks, oil pastels, Gelato’s and Sharpie pen. 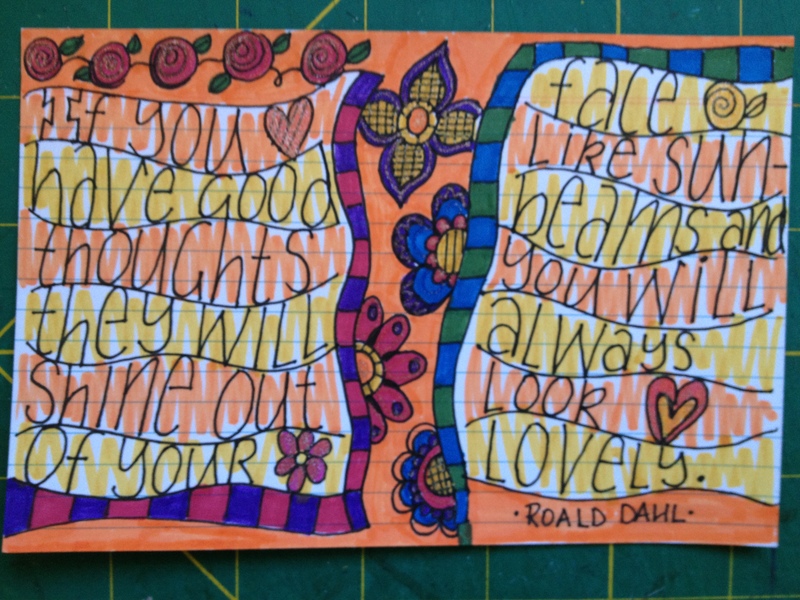 I’m still continuing on with Daisy Yellow’s ICAD challenge. I’ve managed to keep fairly up to date having spares up my sleeve when I need them for work days or busy days. Here’s a few of them… I have to tell you I was really excited about this one. 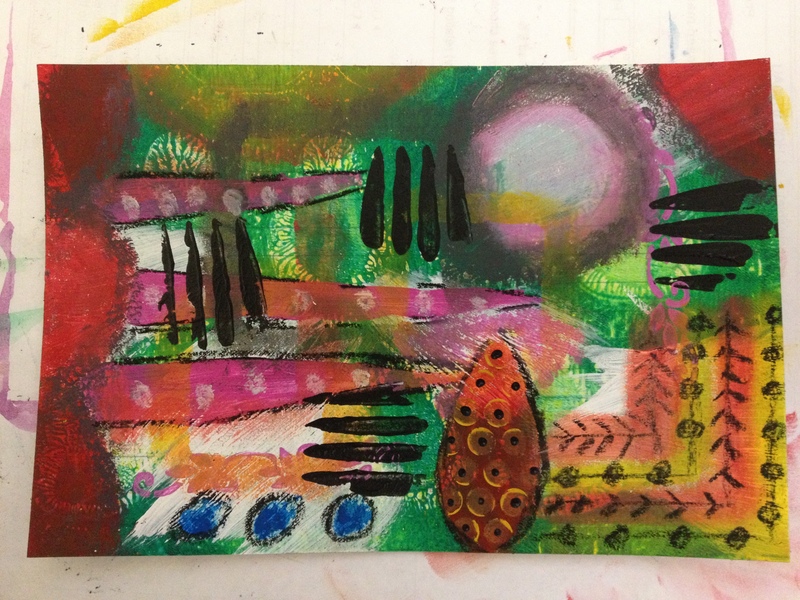 It’s kind of inspired by the wonderful Diane Scott…an artist friend I met through Facebook. 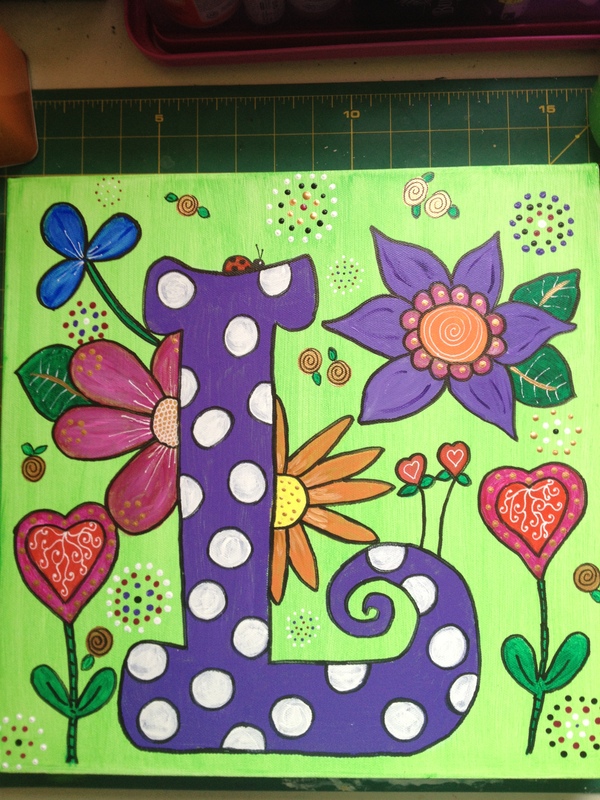 She has this wonderful way of using Gelatos and crayons and acrylic and pen! I love her art! It took me a little while to get used to the Gelatos which are made by Faber-Castell. These beautiful little sticks of creamy, vibrant pigment glide onto paper or canvas, smooth or textured, and blend beautifully (I use my finger), with a blending stick or water. They can be used for stamping too. I only have a couple of packs of colours but definitely need to get some more colours! Shhhh! Don’t tell the man of the house! 😛 I used my Copics for this one! My favourite medium at the moment…watercolour. I actually am really likingthe way they dry on the index card. I love this quote. I love Audrey Hepburn…such an inspirational woman. 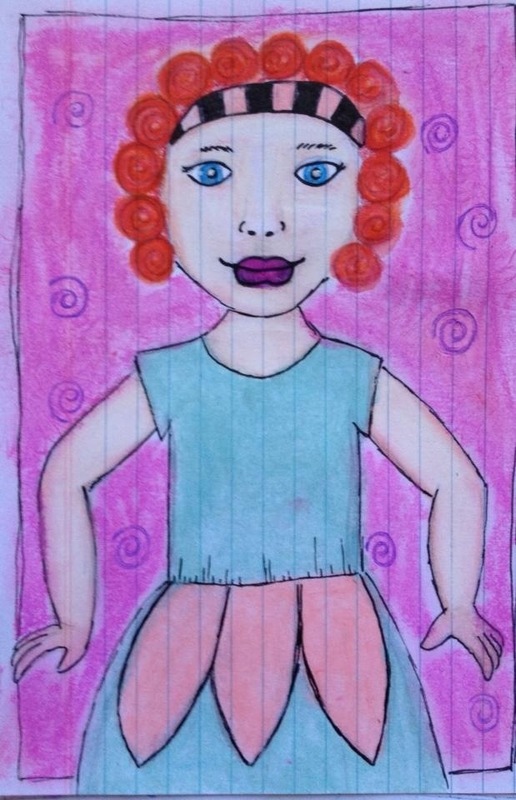 I didn’t get the proportions right with her hand and arm…but we live and learn. 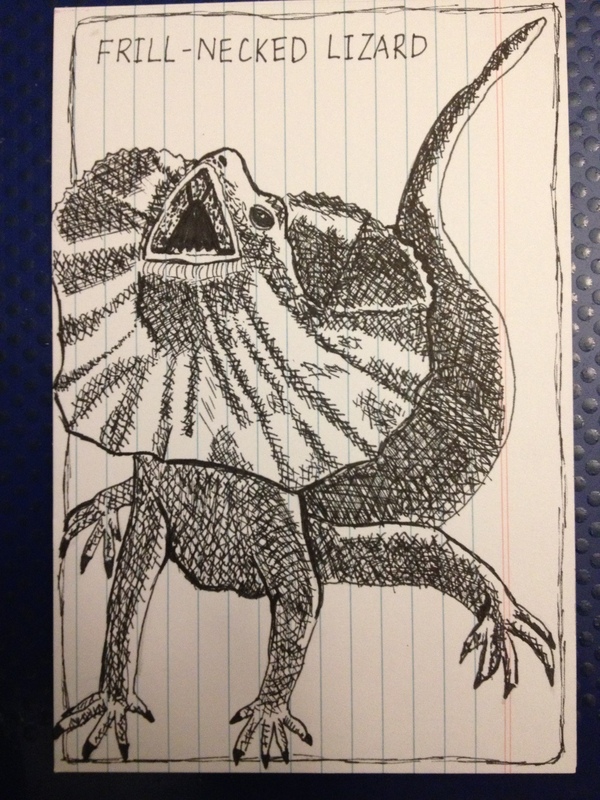 This one was for a DY ICAD prompt…lizard. 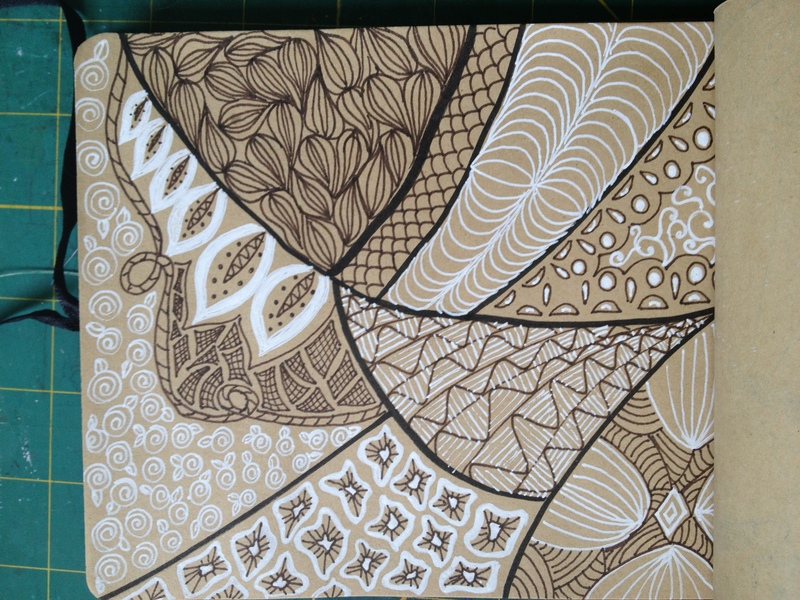 I’ve never done a pen line drawing before so was really pleased with how it turned out. So that’s a little bit of what I’ve been up to. I’ve been rather slack with my blog but still try to create something every day. Sometimes I may miss a day or two on the days I work. I’m so exhausted after work…. 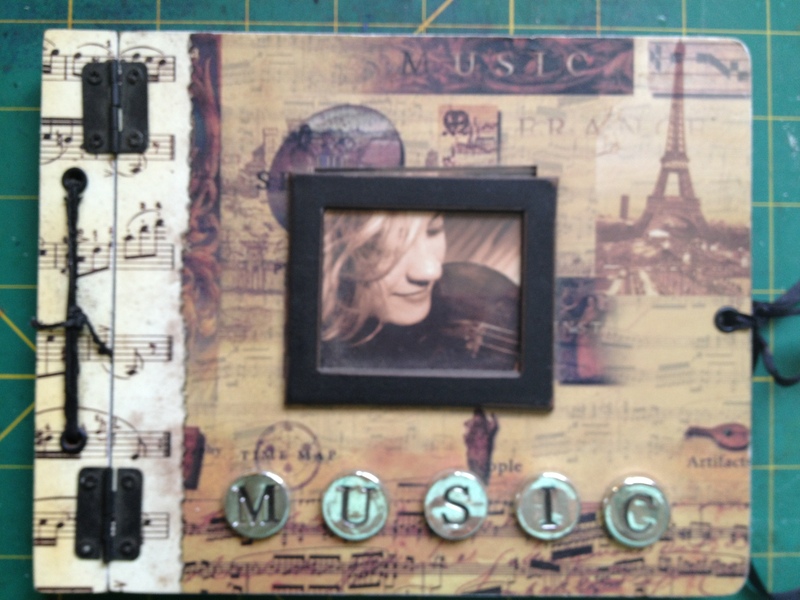 Anyway here’s a few of my ICAD entries. This is ballerina Lulu. I used Gelatos for the first time – I obviously need to practice. 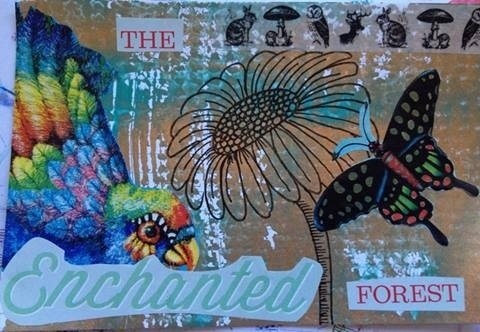 This is a collage I did on a Gelli print background. 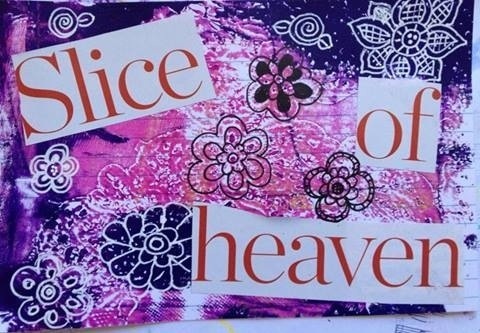 I’m not well practised in collage and don’t think I’m particularly good at it but it was fun! That’s just a little bit of what I’ve been up to. 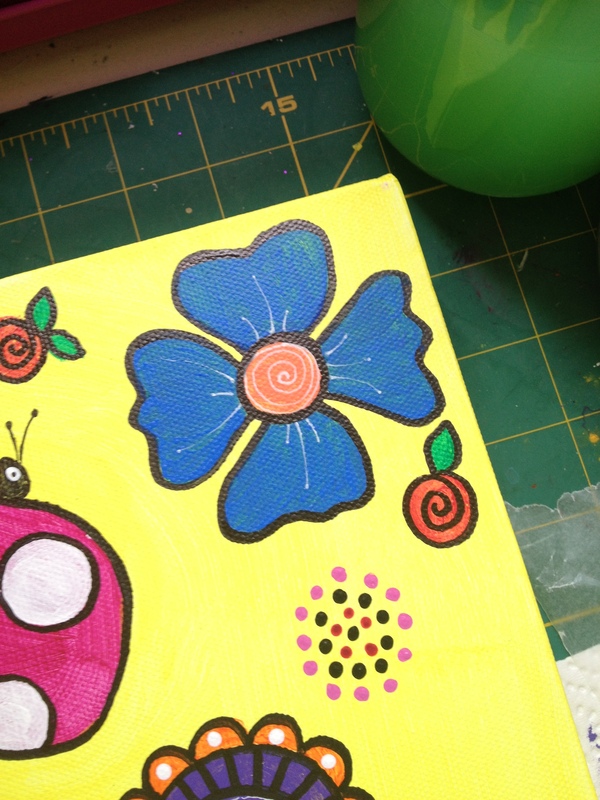 I’m really enjoying the Daisy Yellow ICAD challenge. 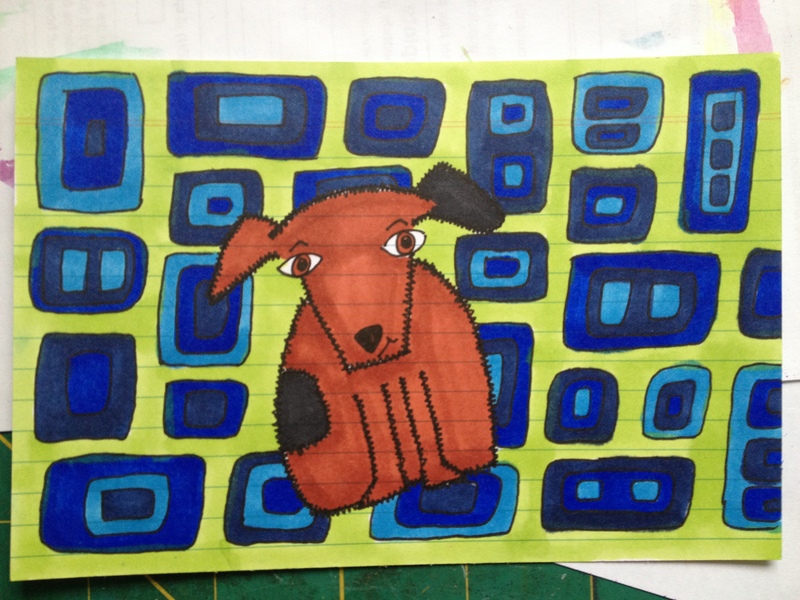 Index cards are very different to artist sketchbooks but its fun and challenging using mediums on the cards. 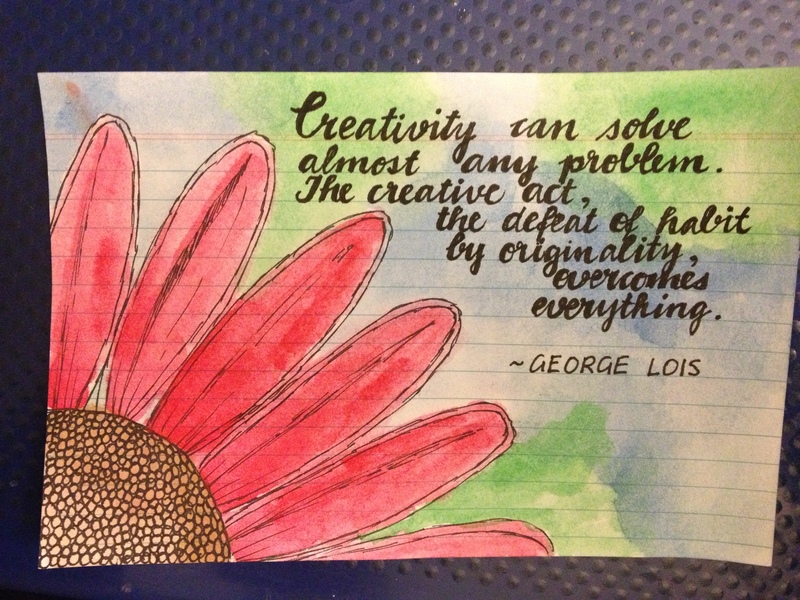 I’m really enjoying taking part in Daisy Yellow’s ICAD (Index Card a Day) challenge. It’s so easy to do whilst watching the TV at night. I finally invested in some Copic pens. I’ve had Faber Castell Pitt pens before but the Copic’s just blend so well. 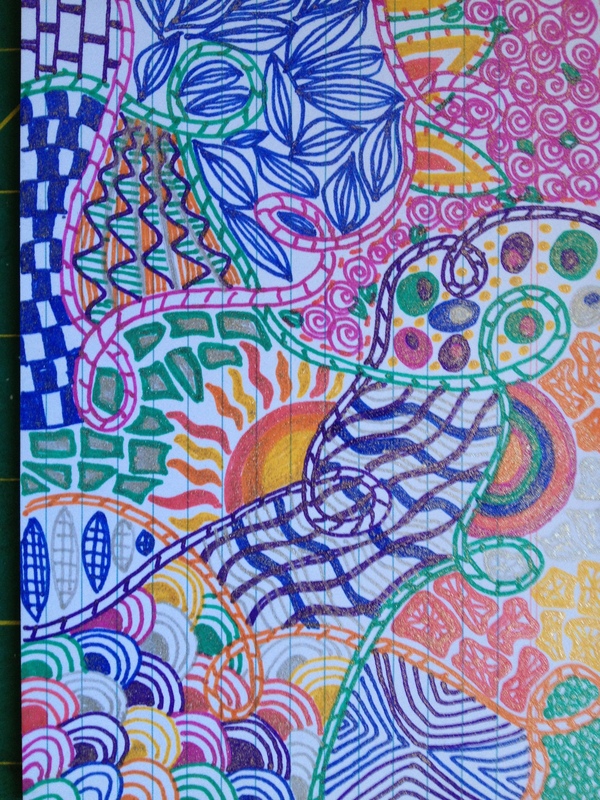 So a you’ll see I’ve been enjoying the pens on my cards. This card was dedicated to my Mum for her birthday on the 2nd June. She passed almost 4 years ago. 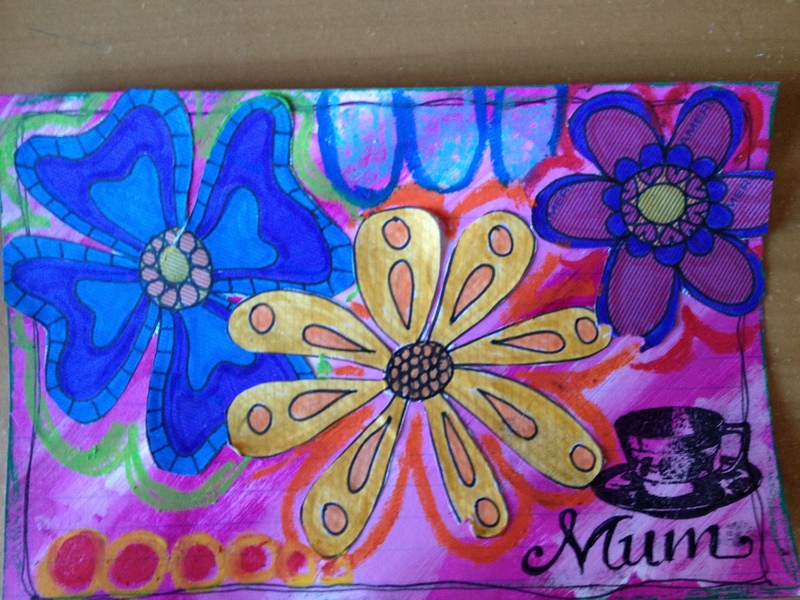 Acrylics, pitt pens on envelopes for the flowers. I also used Neocolour’s. 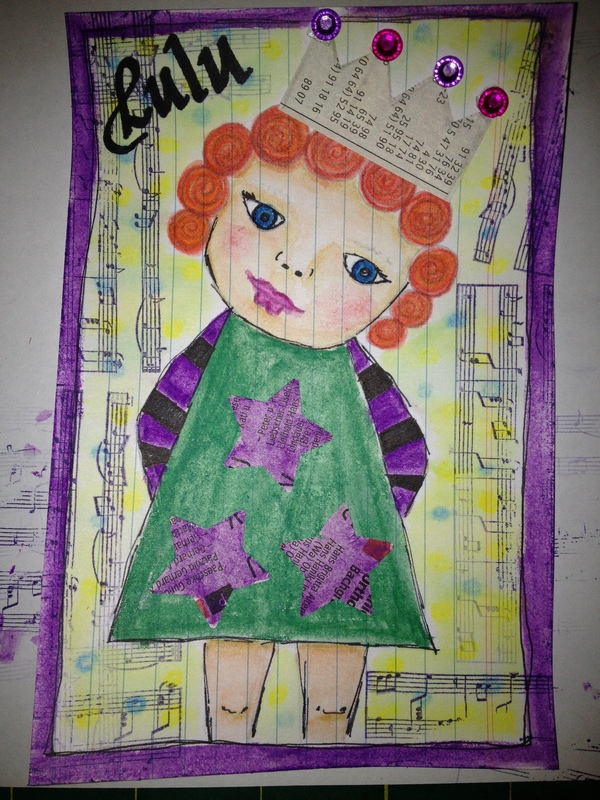 ICAD #4 – Princess Lulu – Lulu is playing dress up’s and has donned a crown (one of the prompts for the week). She is loving her new green dress with stars (sent by my friend Gabriele from Germany). 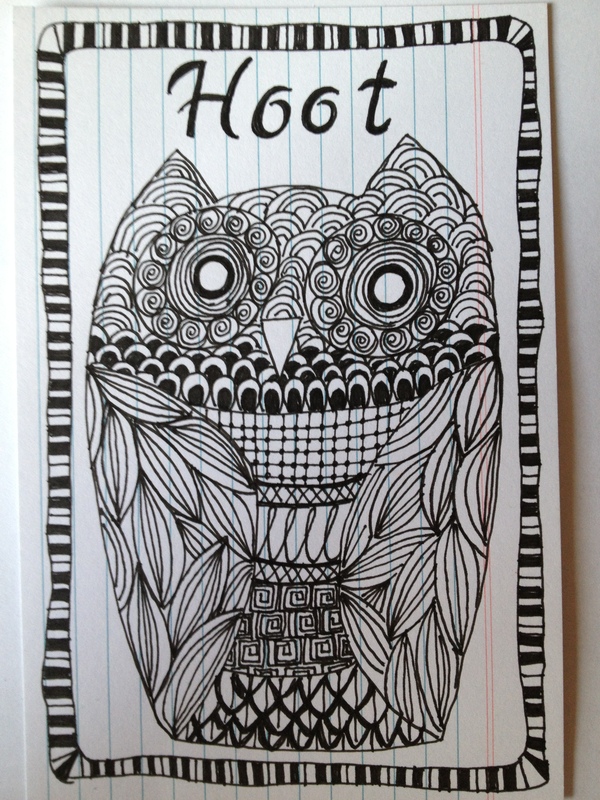 ICAD #5 – Doodled with black Pitt pen. 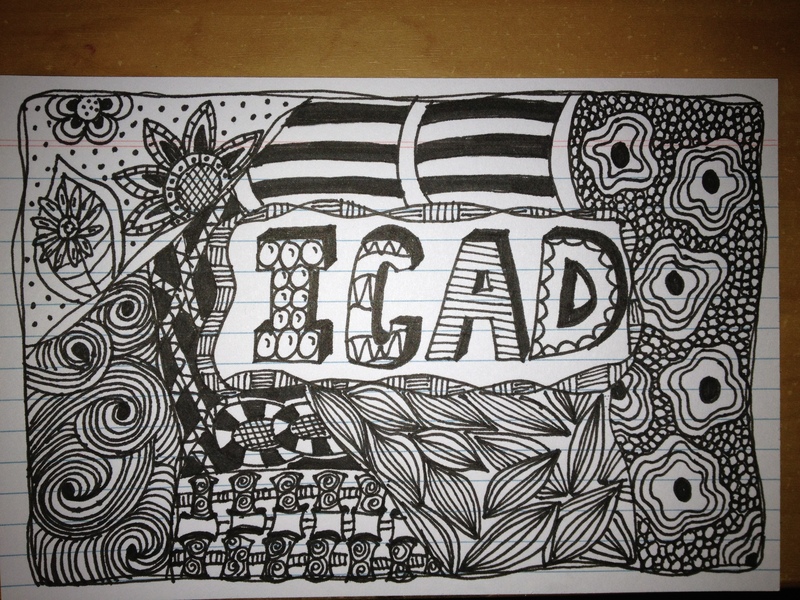 I love Doodling! 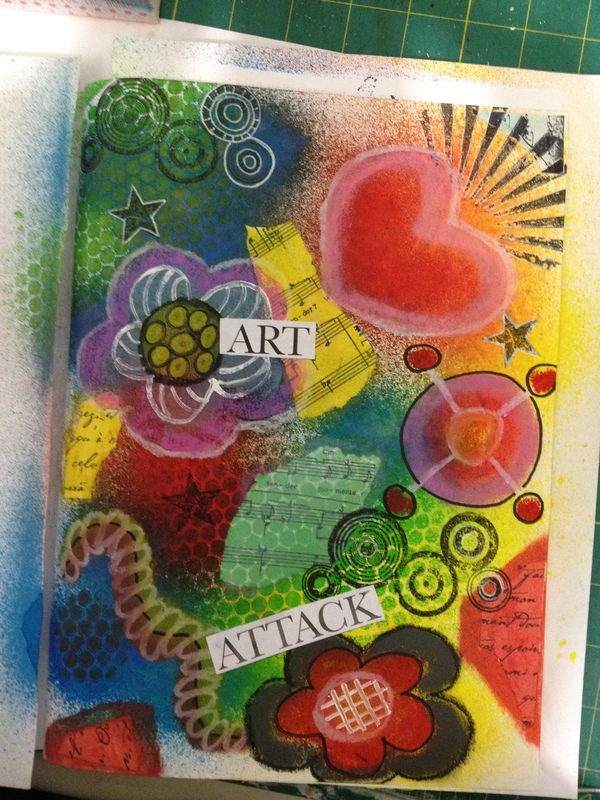 ICAD #7 – Watercolour pencils and Neocolour crayons. I have done one of these on watercolour for my American friend Boo! She doesn’t know it yet. 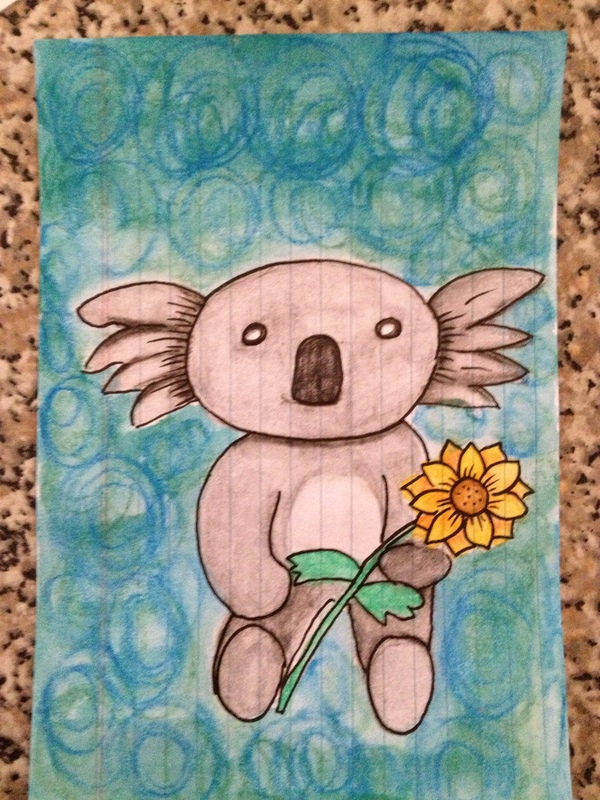 Her profile picture is a photo of her with sunflowers…so this is inspired by that photograph. 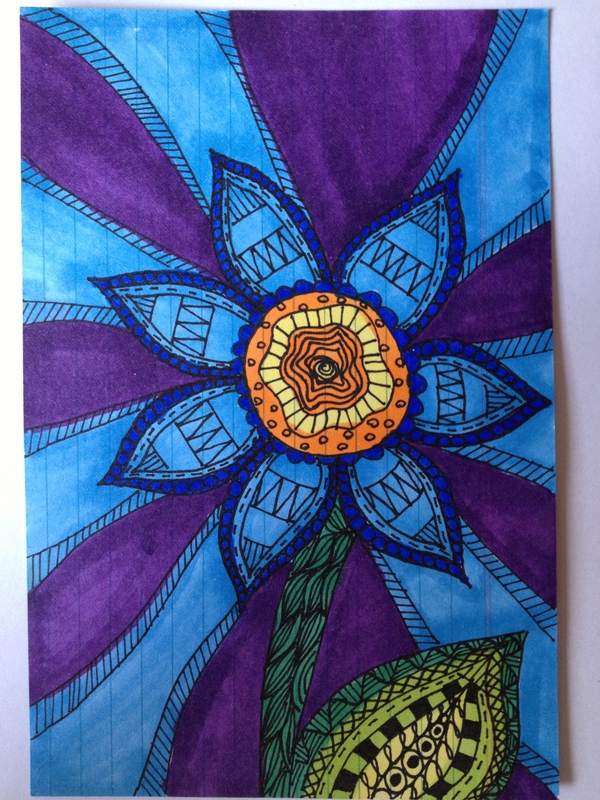 ICAD #8 Doodled flower using my Copic pens for the first time. 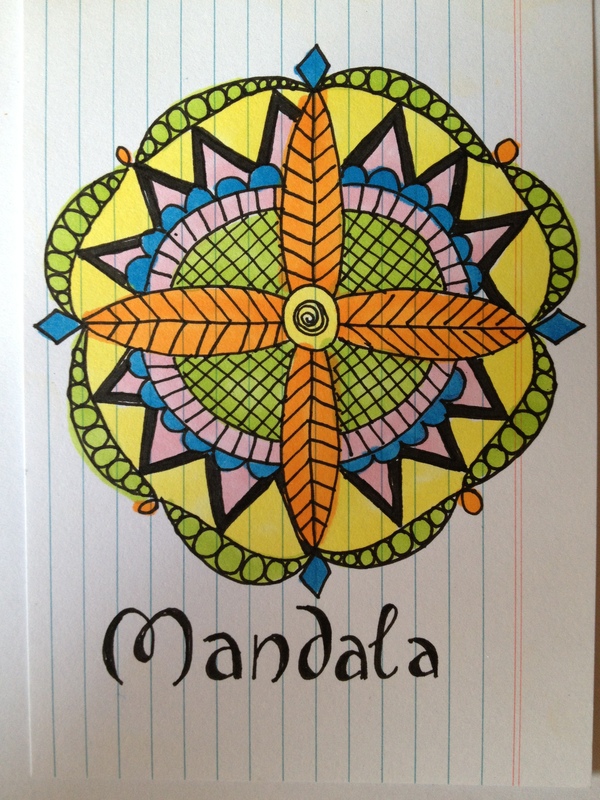 ICAD #9 – I love Mandalas…so relaxing to do. 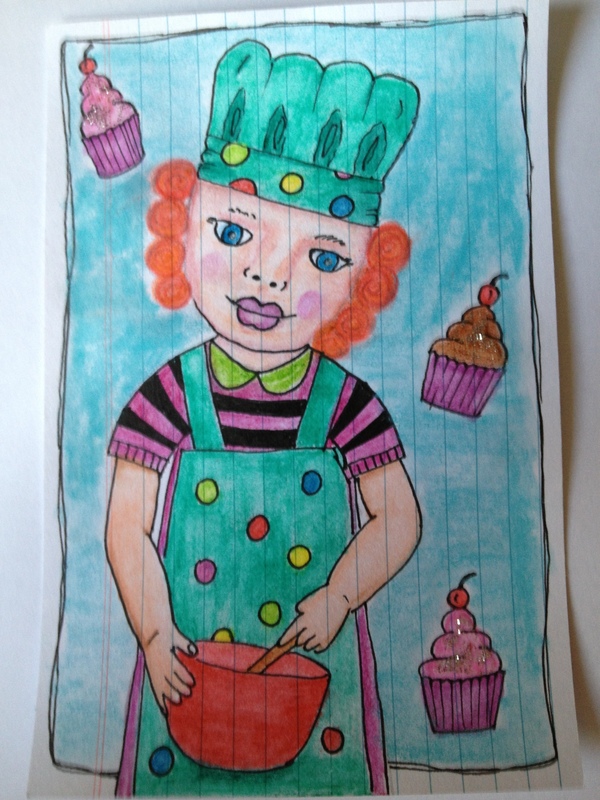 ICAD #10 – Lulu bakes cupcakes. 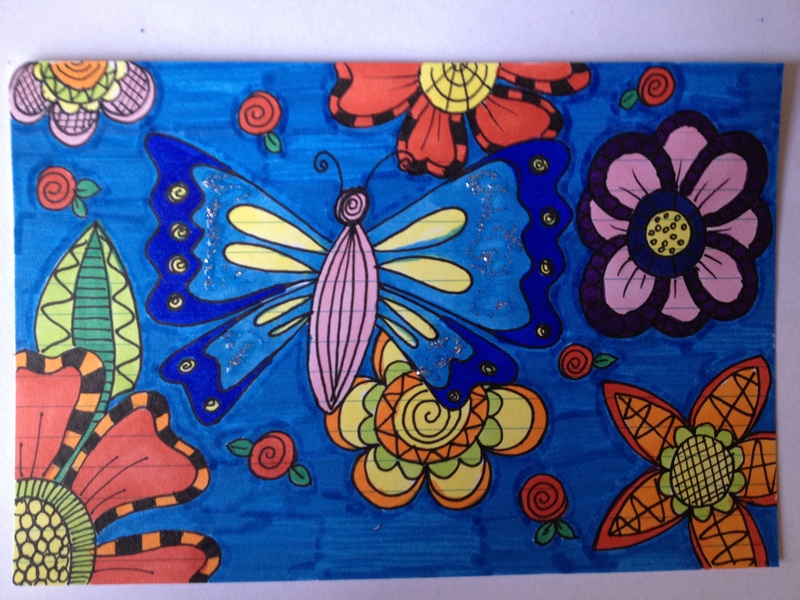 Watercolour pencils and Neocolours ICAD #11 – Butterfly and doodled flowers. This demonstrates the difference between Copics and Pitt pens. 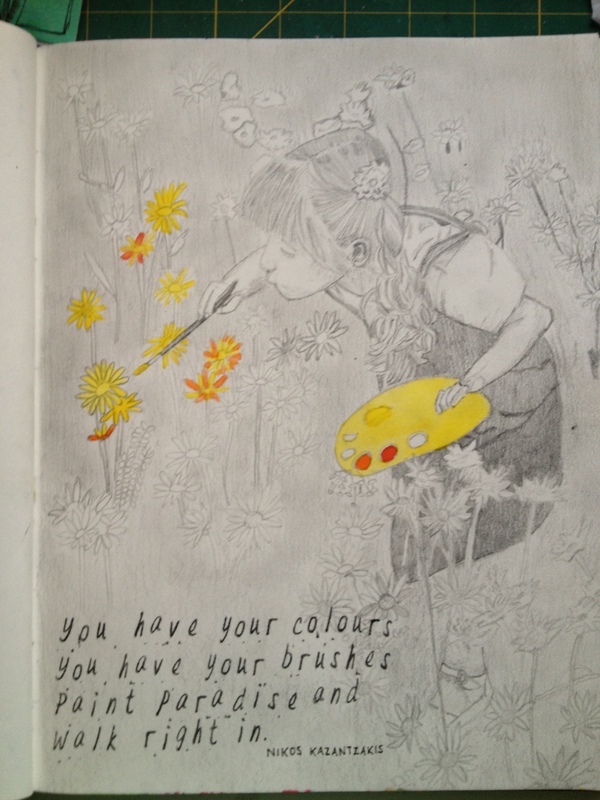 The background is coloured with a Pitt pen… see how streaky it is whereas the colour on the flowers is more blended. LOVE the Copics! So far I’ve kept it very simple with some doodling and lettering. DAY ONE – Fine Black Pitt pen, Coloured Pitt pens and Smiggle gel glitter pens. 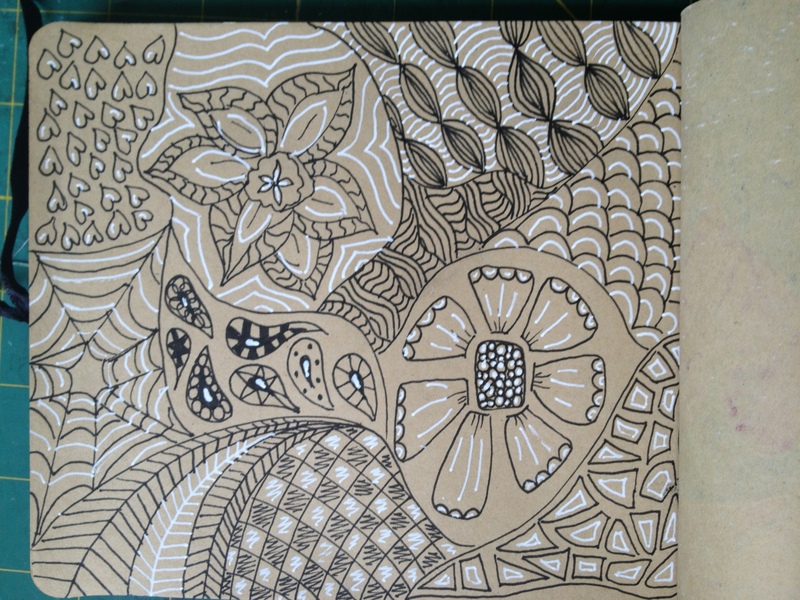 DAY TWO – Smiggle glitter gel pens – Fun to do but I think I prefer doodling in black or white pens. This one is for lovely Lucy Rose. 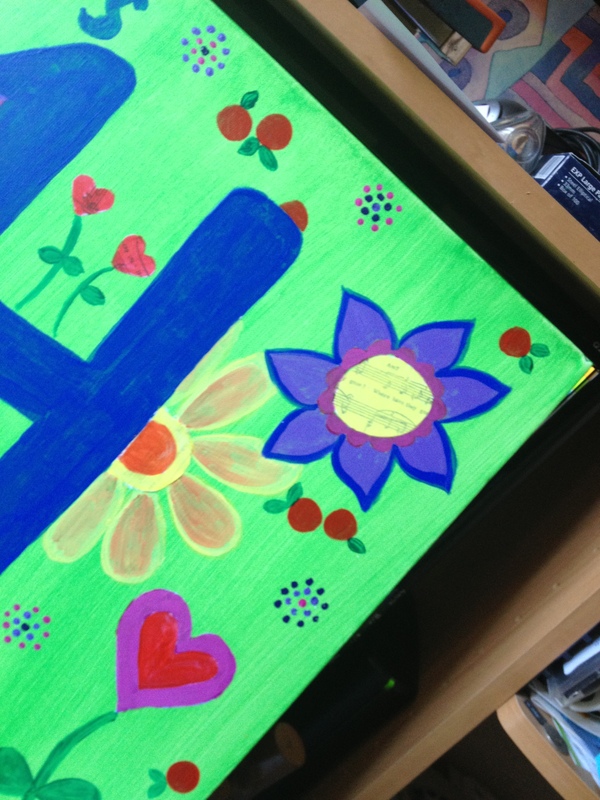 I sent the girls a sneak peak with just a partial photo of their canvas. Lucy loved hers but Georgia didn’t want to look at hers… she wants it to be a surprise! 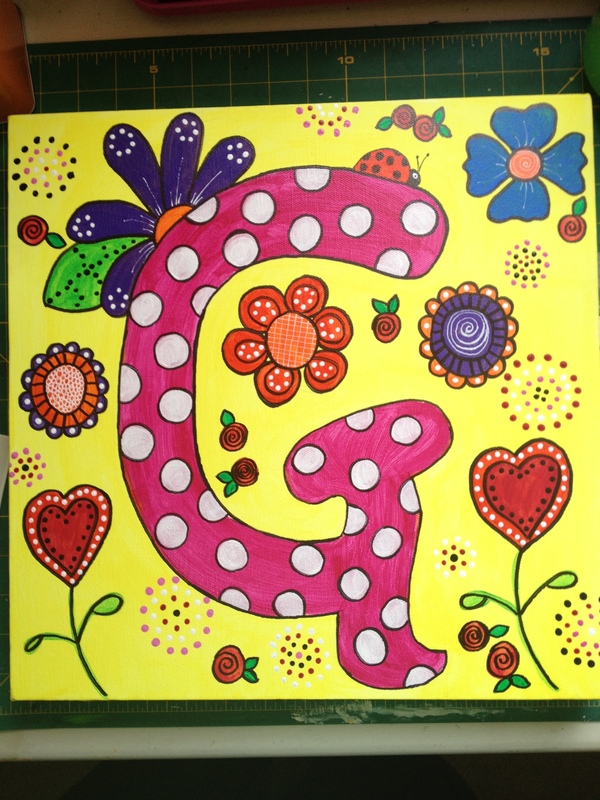 And this is for gorgeous Georgia Poppy. A few years ago one of my beautiful nieces (I have two gorgeous nieces who are like daughters to me) gave me a beautiful journal and up until now I’ve never known what to do with it. But I loved it so very much that I had it on our buffet where everyone could see it. So I’ve now started journalling in it and I just adore the results. Mother’s Day was a quiet day for me this year. We went to breakfast with Pete’s parents but unfortunately both my boys were working so couldn’t join us. We did, however, have a lovely roast dinner last night together. For the rest of the day I literally sketched the whole day. 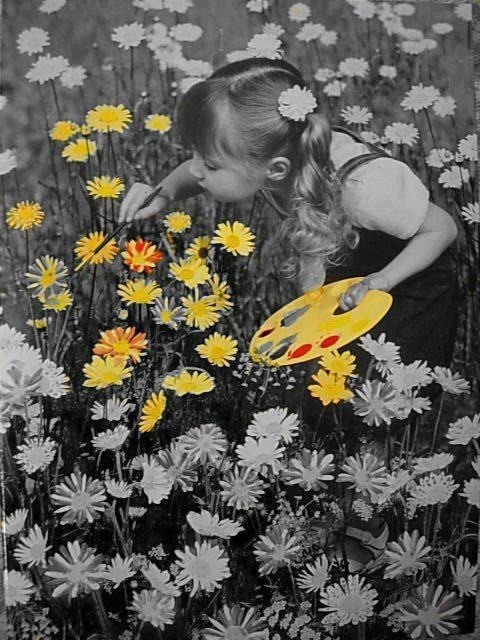 A friend, Boo, recently posted a photo of a little girl in a field of daisies and she was painting the flowers to give them colour. I told Boo I’d love to sketch it…so here it is. I did alter it a little bit and didn’t put in quite so many flowers and I added the verse as well which I think suits the sketch perfectly.